Официальный сайт - Михаила Чекалина - Mikhail Chekalin - 3. 1999 - "Beautiful Morning - Wonderful Night. Romantic Vampires"
3. 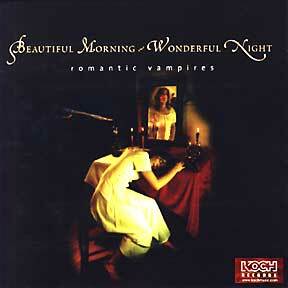 1999 - "Beautiful Morning - Wonderful Night. Romantic Vampires"
Licensed by Erdenklang Musikerlag Ulrich Rutzel. Design and photography by Rank. Good feeling music. This music is dedicated to bring you the wonder of a beautiful morning and the piece of a wonderful night.